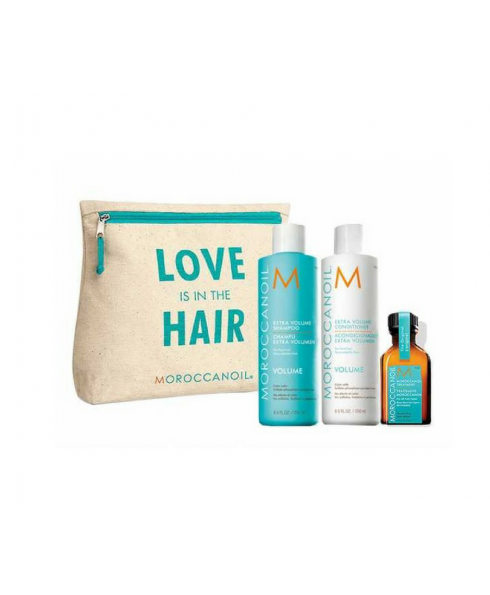 Moroccan Oil has created the ultimate 'Love is in the Hair' Volume gift set. 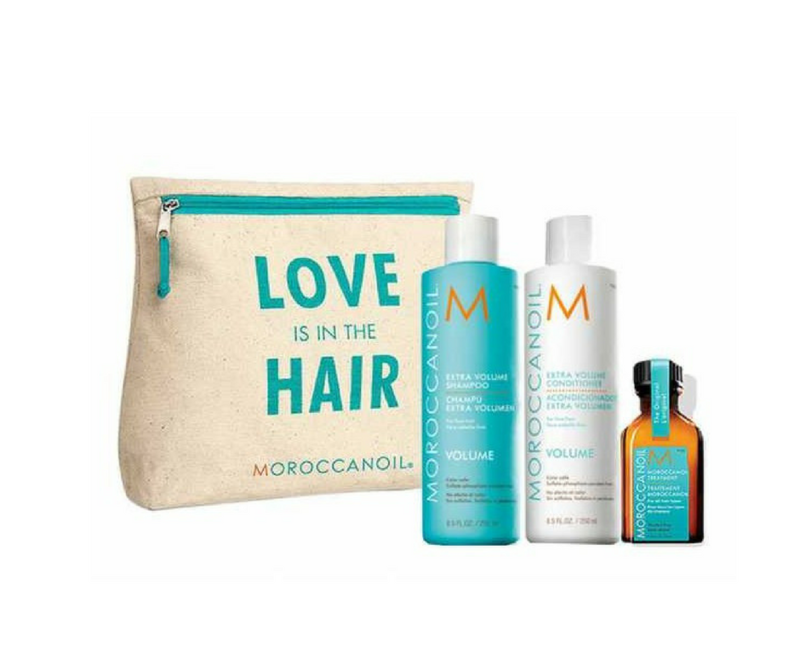 The haircare pack contains a shampoo, conditioner and Moroccan Oil treatment all packaged in a decorative zipped bag. Transform dull, fine hair with a burst of volume, infused with antioxidant, argan oil and revitalising nutrients. It gently cleanses the strands to bring body back to the roots and add that extra Oomf. Use this gentle conditioner to smooth and manage your hair, while also adding extra volume. The original oil-infused hair treatment. An essential base for strengthening hair that can be used as a conditioning, styling and finishing treatment.